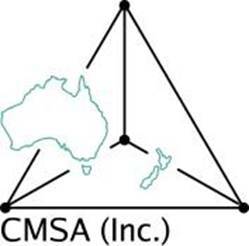 The 40th Australasian Conference on Combinatorial Mathematics and Combinatorial Computing (40ACCMCC) will be held at the University of Newcastle, Australia, Monday 12 to Friday 16 December 2016. Early-bird registration until 1 November. Abstract submission deadline is 18 November. Registration closes 25 November. Attendees are invited to submit an abstract for a contributed talk of 25 minutes duration (including time for questions), covering some topic in discrete or combinatorial mathematics or a related area of computer science. Information on registration, submission of abstracts, accommodation, etc. can be found at the website. We look forward to seeing you in Newcastle. The 60th Annual Meeting of the Australian Mathematical Society will be held at Australian National University (ANU), Canberra, from Monday 5 to Thursday 8 December 2016. There will be a Special Session for Combinatorics organised by Amy Glen (A.Glen at murdoch.edu.au) and Jamie Simpson (Jamie.Simpson at curtin.edu.au). We warmly invite contributed talks from CMSA members and anyone else who is interested. Algebraic Combinatorics and Group Actions, Herstmonceux Castle in East Sussex, UK, 11-16 July 2016. Distance in Graph 2016 (A conference to celebrate the life and work of Mirka Miller), Ubud, Bali, Indonesia, 19-22 July 2016. The 22nd International Computing and Combinatorics Conference (COCOON'16), Ho Chi Minh city, Vietnam, 2-4 August 2016. The 1st Macedonian Workshop on Graph Theory and its Applications, Ohrid, Macedonia, 16-20 August 2016. The 6th Polish Combinatorial Conference, Będlewo, Poland, 19-23 September 2016. The 30th Midwest Conference on Combinatorics and Combinatorial Computing, Illinois State University, Normal, USA, 14-16 October 2016. The 4th Bordeaux Graph Workshop, Bordeaux, France, 7-10 November 2016. Lecturer, Mathematical Sciences, RMIT University, Melbourne, Australia. For further information please contact Assoc. Professor Asha Rao, Program Director, Information Security, asha@rmit.edu.au. Females are encouraged to apply. Applications close 24 July 2016. Ron Steinfeld (Faculty of Information Technology) was a joint winner of a Best Paper prize at ASIACRYPT 2015 (Auckland, NZ, 29 Nov - 3 Dec 2015). The paper is "Improved security proofs in lattice-based cryptography: using the Rényi divergence rather than the statistical distance" by Shi Bai, Adeline Langlois, Tancrède Lepoint, Damien Stehlé, and Ron Steinfeld. Daniel Harvey, recently a Research Fellow in the School of Mathematical Sciences, has taken a position as Research Associate in the Logic and Semantics Research Group at the Technical University of Berlin. Dr Yezhou Wang, of the School of Mathematical Sciences in the University of Electronic Science and Technology of China (UESTC) in Chengdu, is visiting Graham Farr until October 2016. The website for the Australasian Journal of Combinatorics is http://ajc.maths.uq.edu.au/. The Journal is now online only, free for readers and authors (so it is a 'diamond open access' journal). There are three volumes per year, with each volume closing in February, June and October, matching the time of publication of the old paper volumes. Volumes are currently being uploaded in three batches. All three parts of Volume 65 (June 2016) are now online. Volume 66 part 1 will appear in early August. Visit http://ajc.maths.uq.edu.au/ and sign up to subscribe to email notices whenever new papers are published. The contents of all volumes, 1 to 65, are listed at the above web page.